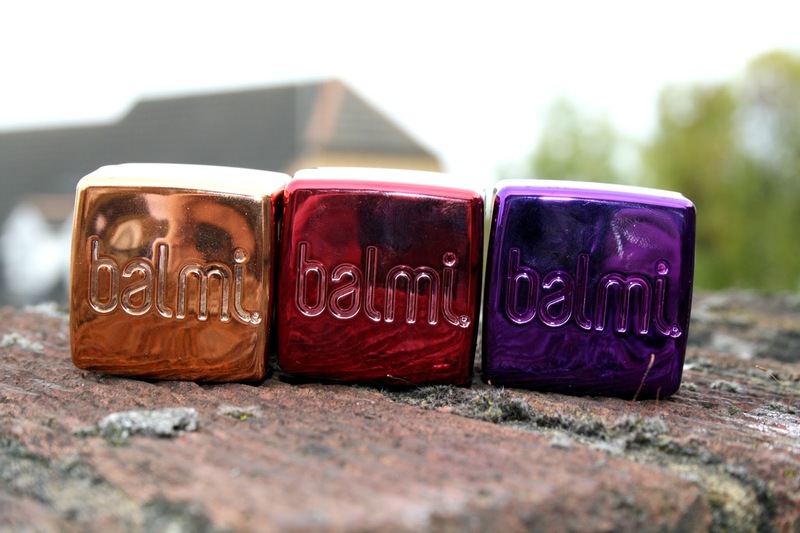 I absolutely love Balmi lipbalms and am lucky to have quite a few in my collection, which I have mentioned here. 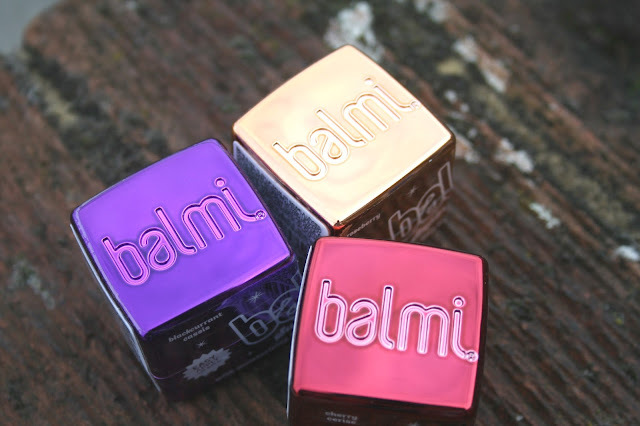 Getting ready for the festive season, Balmi have launched three new lip balms to add to their collection but with an added bit of pizzazz, they have gone metallic with the design and they do look pretty good! Within the collection there is a brand new scent Roseberry which you will find inside this Metallic Copper cube and it smells absolutely delightful. The two other scents are Cherry which is metallic red and Blackcurrant which is Metallic Purple. 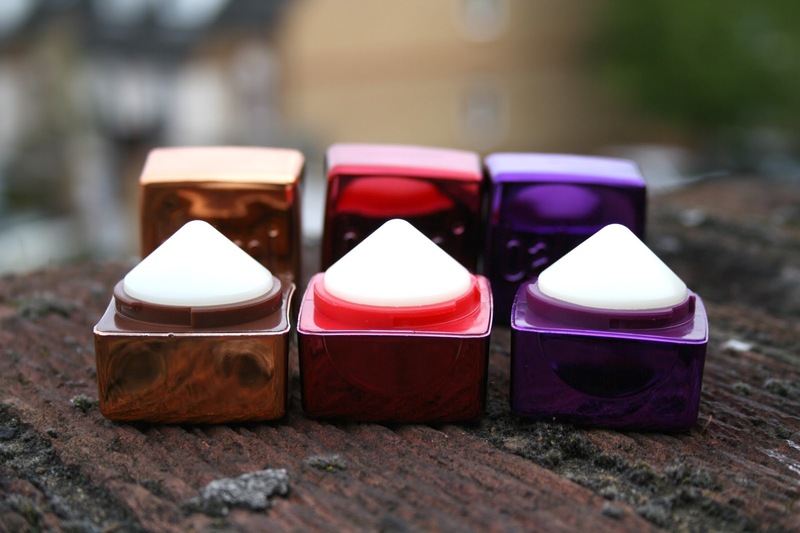 The lip balm maintains its conical shape and is really easy to apply. Not only are they all SPF15, which gets a huge thumbs up from me, they also contain antioxidant-rich Vitamin E, soothing Shea Butter and Jojoba Oil to help leave your lips moisturised, soft and super smooth. To purchase they are priced at £4.99 each and can be found in Boots, Urban Outfitters and Superdrug. Do you own a Balmi? Ooooh my gosh I loooove the packaging! They are dreamy. I have tonnes of Balmi's, intact I have two on my keys! These look gorgeous, I'll have to check them out! I've always wanted to try this lip balm when I saw it at Boots 2 days ago. But I wasn't so sure so I went for Manuka instead and the cheap boots brand lip balm. I should definitely check this out. I've not tried a Balmi yet but this post may just convince me to buy! I love balmi balms but my teenager always seems to "borrow them" and I never get them back! These lip balms look much fancier than the chubsticks I used to use when I was younger! They look great! Ooooh shiny! Love the look of these! The packaging is very cute. These are fab to keep in your bag over the Winter and would make great stocking fillers. I have one of these, the pink one. I love it. I adore the packaging of these! Lip balms are about the only make up I own. I will look out for these. Oh wow these look awesome! I love the packaging, I have never seen them before - but I am going to keep an eye out for them now! I'm not a big make up wearer, but I do love a lip balm. I always have one about my person. These look brilliant! I've never heard of these so will need to look next time I go shopping. They look cute and love that they have SPF and moisturise. I've never heard of these, but they look fantastic. Great stocking fillers, I'm definitely going to get some! Goodness I've heard so much about Balmi, I really must see what all the fuss is about. They are super cute too. I love these! !really want the rose gold one but I have the cherry! !love how soft they make your lips too!! Wow, these are super cute! I don't own one but I am sure going to buy myself one of those babies. The packaging looks super cool. Have never heard of these, but they do look cool. Not a lip balm user myself prefer using vaseline. ive never tried these. are they better than eos?